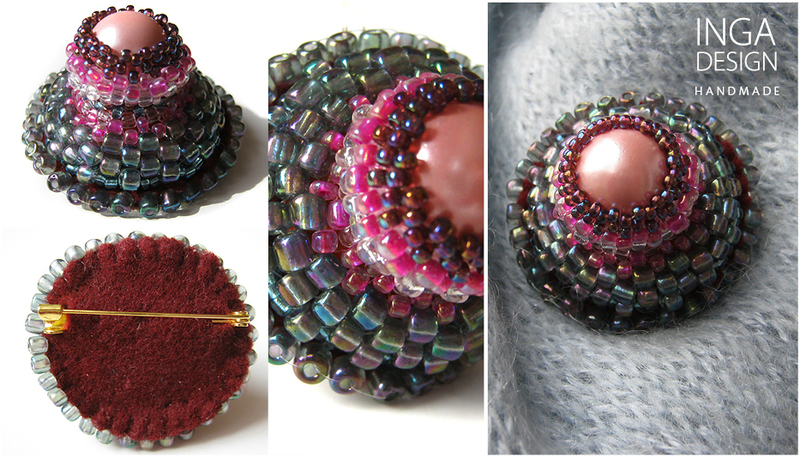 Handmade embroidered brooch "Eye of Fortuna" with seed beads and a huge pink artificial pearl. Felt backside and a metallic C type clasp. Diameter: 4,5 cm, height: 2,8 cm.